UFC 235 was a playground for controversial calls from officials. It began with Robbie Lawler being forced to lose his fight against Ben Askren due to Herb Dean believing Lawler was choked unconscious. However, other contentious calls were not so egregious. In the co-main event; a welterweight title fight between Tyron Woodley and Kamaru Usman, was continuously interrupted by referee Marc Goddard, repeatedly standing the two up, even while they worked in their positions. This was compared to Herb Dean allowing Jones to hold positions against Smith in the main event. 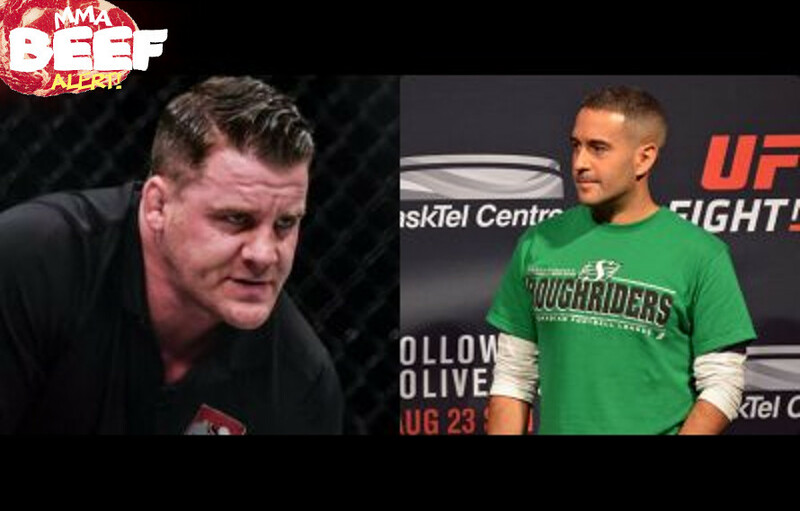 Referee Marc Goddard didn’t take too lightly to Anik’s comments on his calls, responding with a minor rant. I always try to be respectful. We are just calling it like we see it, too. But there is an arrogance with which you deal with the fighters, commentators and many in this sport. And I find it offputting. One man’s take. And I’m quite sure you’ll give yours for everyone to hear. This “beef” took the MMA world by shock. However, the problems didn’t last long. Shortly after this exchange took place, the two spoke privately, and apparently settled things up. Anik, ever the professional, would go on to address this publicly on Twitter. @marcgoddard_uk I know we've addressed it privately but publicly wanted to apologize for the personal insult. I respect you as a man, father, and professional and it's not my place to add to the noise, especially in that manner. Sometimes my passion is misdirected. The MMA world is full of passionate people, who all have different views on the world, and the fight game. While we watch with buckets of popcorn, enjoying these two go back and forth, both Anik and Goddard are ever the professionals. This seems unlikely to effect further interactions between the two, and it was nice to see an olive branch quickly extended.